Sometimes…the world just feels good & right, because it makes sense. 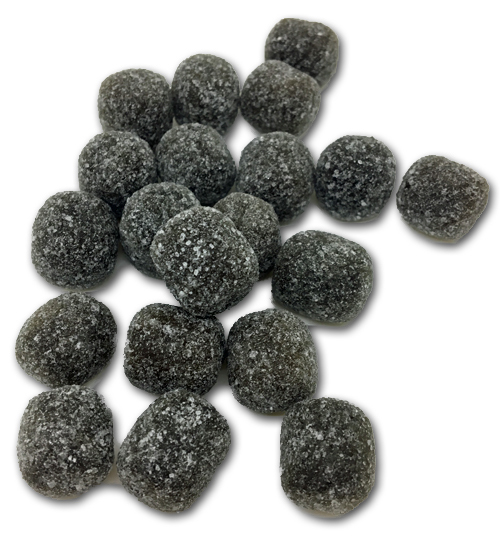 In the world of salty licorice, anything goes. From brand to brand, country to country, you might find varieties way too bland, outrageously salty, too ammonia-edged, not enough/too much molasses flavor, too hard, too soft, etc. It’s the wild west. First, I love the bag. Love it. My initial thoughts were…..these are gonna be perfect, or too soft. Absolutely perfect. Not too soft-in fact, they are an interesting combination of chewy and hard. They don’t give in at first, but they also don’t stick all over your teeth-you just slowly can chew into it and get ‘er done. The licorice flavor is what I’d call “standard” -no hints of ammonia or molasses, and that’s very much fine by me. The salt content is there, albeit somewhat on the light side, and I can understand that. Like I said, they’re perfect. I can’t imagine anyone who likes any sort of licorice not loving these. I’m not sure whether they’ve been discontinued or not, as they’re extremely difficult to find. 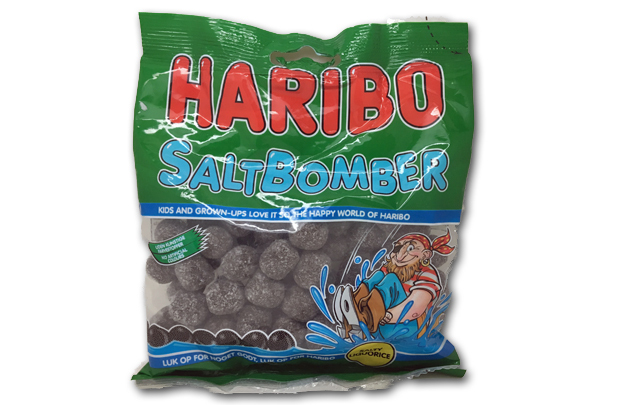 I managed to find a store with a much larger sized bag of them, so if you want them, grab them now with the link below. I like how the name explains what it is. No lying here.